Property 2: Comfort is #1! 2B bedroom Cottage in Anacortes, WA. Private Quiet and Cozy! Property 3: Like New Built 2017 Comfortable Cottage! Property 6: Close to everything the island offers. Fire pit, orchard, landscaped. Awesome views! Near Edison, San Juans great beaches & hikes. Dates still open! Property 7: Awesome views! Near Edison, San Juans great beaches & hikes. Dates still open! Property 8: Secret passage to the San Juan Islands. Very quiet spot on a short, rural road. Property 10: Waterfront retreat - birdwatching, kayaking, relaxing, getaway. Property 12: NEWLY LISTED! IN DOWNTOWN FRIDAY HARBOR! Property 13: Rustic. Artistic. Island living. The perfect relaxing get away. Property 15: Enticing Waterfront Cottage! Samish Island Waterfront Cabin - No Crowds or Ferry Lines! 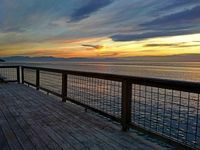 Property 16: Samish Island Waterfront Cabin - No Crowds or Ferry Lines! Location, location, location for ultimate island relaxation! Mid week special! Property 25: Location, location, location for ultimate island relaxation! Mid week special! Property 26: Sunset Beach Haven - "Its Like Living On A Boat" - Seriously Waterfront! Property 27: Oceanfront home moments from private beach & only a quick drive to Anacortes! Property 28: Cozy Country Bungalow - Beautiful Setting Close to Town! Walk to Shark Reef Sanctuary. Eagles, Whales, Seals & Sunsets. Private Hot Tub. Property 30: Walk to Shark Reef Sanctuary. Eagles, Whales, Seals & Sunsets. Private Hot Tub. Serene Hobby Farm Cottage Get Away, 10 Minutes From Mount Vernon. Property 32: Serene Hobby Farm Cottage Get Away, 10 Minutes From Mount Vernon. Waterfront Beach House close to everything! Property 33: Waterfront Beach House close to everything! Property 34: Romantic Honeymoon Cottage with Water Views & Hot Tub. Small Dog Friendly! Property 38: Peaceful waterfront cottage, close to town! 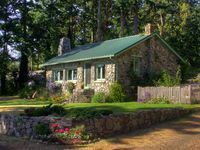 Anacortes Cottage By The Sea on Fidalgo Island, Getaway to the San Juan Islands! Property 39: Anacortes Cottage By The Sea on Fidalgo Island, Getaway to the San Juan Islands! Cute, Cozy & Comfortable Cottage Conveniently Located In The Heart Of Town. Property 40: Cute, Cozy & Comfortable Cottage Conveniently Located In The Heart Of Town. Quiet cottage for 4, short walk to Spencer Spit State Park! Property 47: Quiet cottage for 4, short walk to Spencer Spit State Park! Property 50: NEWLY LISTED! IN DOWNTOWN FRIDAY HARBOR!